Posted October 14, 2012 by Kellen Coffis & filed under Uncategorized. We are back on the calendar at one of our favorite venues, The Crepe Place. 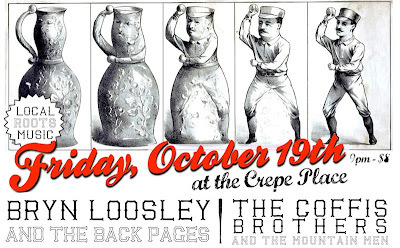 On Friday October 19, we will be opening local roots rockers Bryn Loosely and the Back Pages. Always a rowdy and fun time at The Crepe, show starts at 9 PM. Check out this cool poster Bryn came up with. Come on out people! Go Giants! 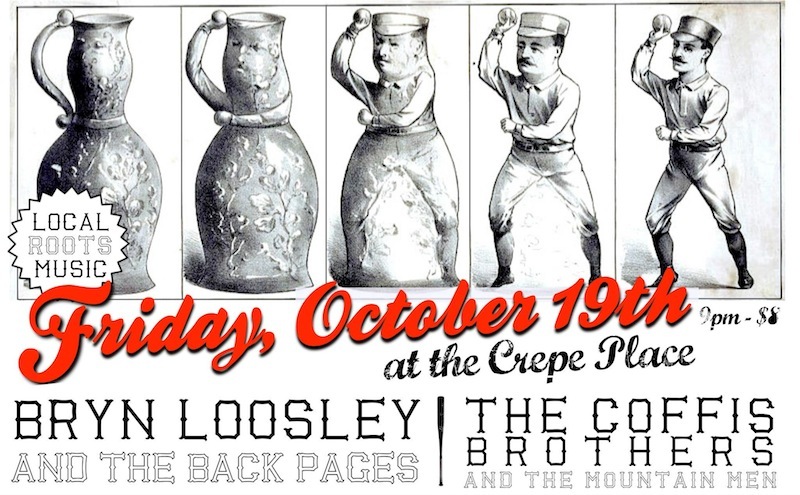 So we will see you at the Crepe Place at 9 pm on Friday October 19, alright sounds good.